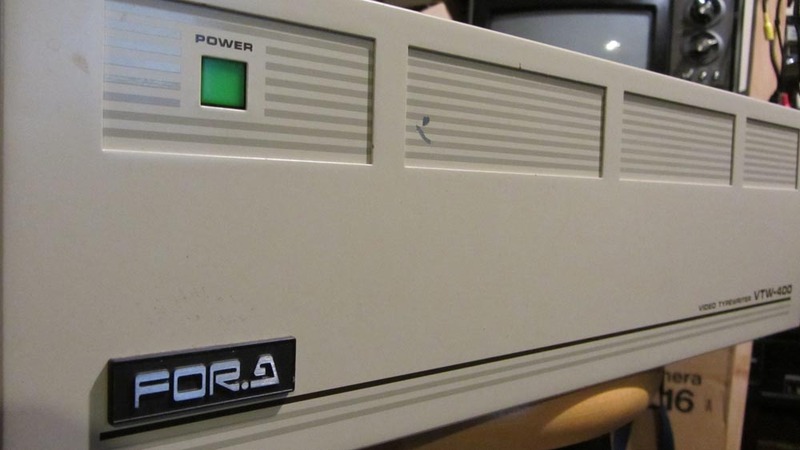 Some time ago I purchased a vintage character generator by FOR-A, a company I know more for their TBCs (time base correctors) than character generators (CG), and this particular model seems to have been designed for small station / cable access use, given it is broadcast quality and has the options for data storage on floppy drives. The whole purchasing process of my unit was a bit of a nightmare – the seller was a moron, first packing the keyboard and manual in an empty box with wrong cables, and then sending the main unit separately after he realized one can’t function without the other – plus there was the added shipping cost of what are two very big chunky machines made of metal. Probably one of the worst buying experiences I’ve had, in terms of poor communication, complete lack of knowledge of gear being sold by someone who apparently worked in a broadcast environment, and horrible packing. I’ve read horror stories of vintage / antique gear sold in excellent condition, only to arrive damaged beyond repair because the seller tossed in some rumpled newspapers. It’s pretty atrocious, and perhaps the only thing that ensured this two-part CG system arrived intact was the metal design. However, all is not well in what should be a functional CG setup, so I’ve posted a series of images of the main unit’s guts with comments as to what’s operational in case someone may have a suggestion as to what’s ailing the unit. The unit does power on, with the green front panel light illuminated. There’s a beep upon boot-up, fan works, and power is going to each of 4 circuit boards (of which 2 have red lights), but no video signal emerges. Upon boot-up, unit is supposed to display one of 5 messages via Video and Line Out on its internal condition – a kind of status report – but it doesn’t get that far, as whatever video is inputted into the main unit is stopped somewhere within the boards. 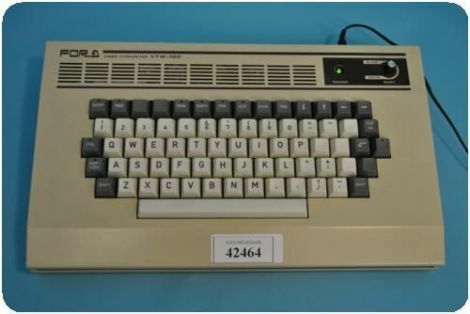 The main unit doesn’t communicate with keyboard, although keyboard is getting power, as evidenced when keys illuminated on boot-up, and when Shift Lock key is depressed. 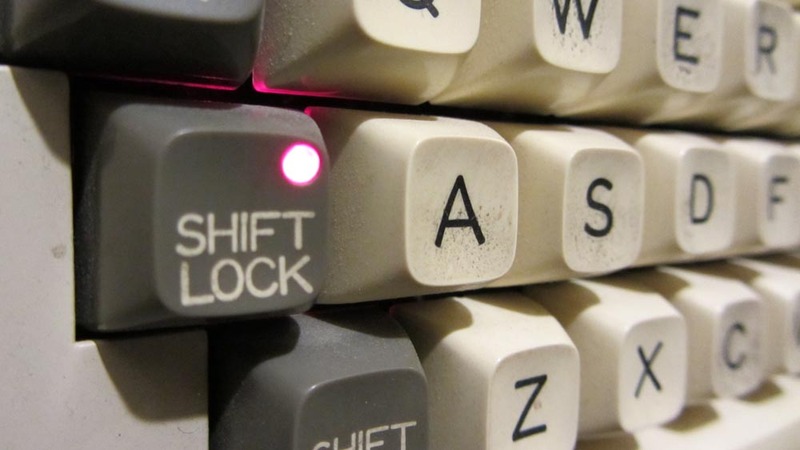 No other lights on keyboard turn on when any other keys are depressed except Shift Lock, or Shift (which turns on the Shift Lock light). There’s a reset button on the rear of the keyboard and on the second-from-the-top circuit board, but they have no effect on snapping main unit back to life and enabling some video display. 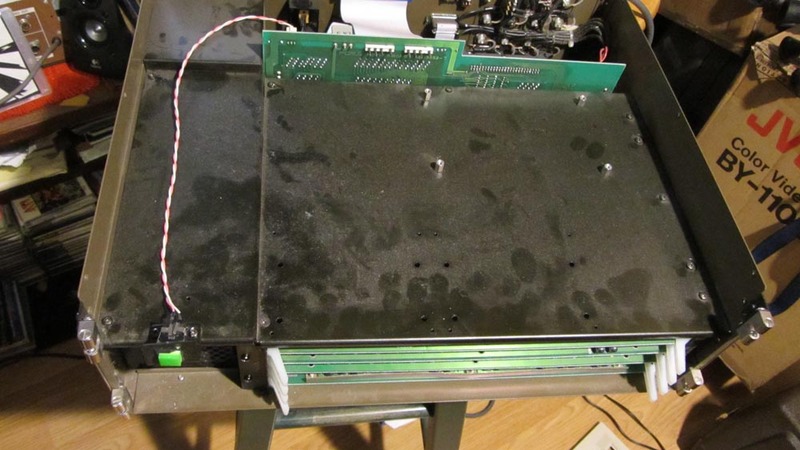 I cracked open the unit, blew out dust from the slots where the 4 circuit boards connect with the motherboard, and made sure they were pushed in flush – no change. 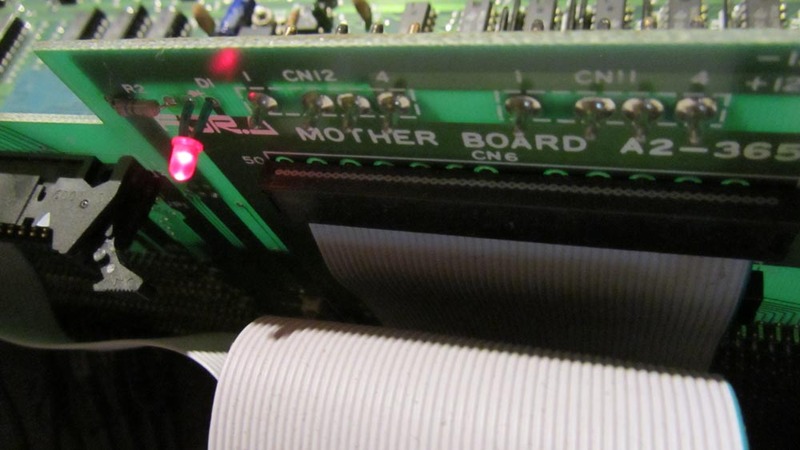 The circuit boards don’t show any visible sign of corrosion or bad capacitors, and power supply seems sound. 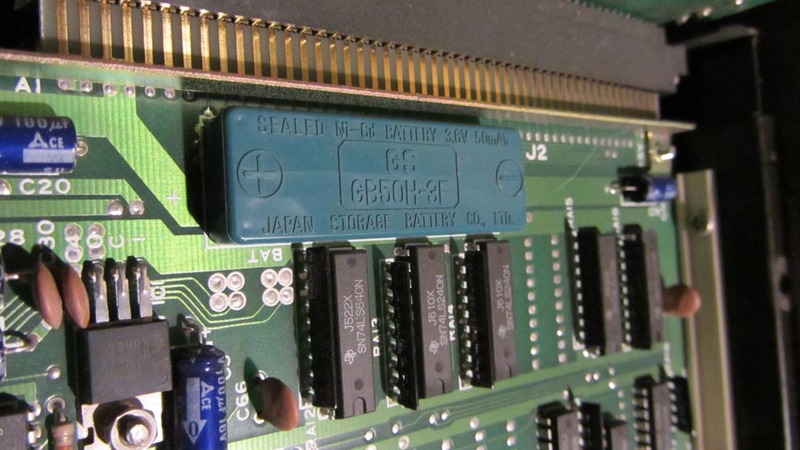 There is a sealed battery on one of the boards that isn’t leaking, but may well have died, perhaps contributing to the CG unit’s comatose state. The seller reported this unit was functional until it was pulled in February of 2015. Not sure if some severe jostling during shipping affected the unit’s integrity, but everything is encased in very tough metal. Here’s a gallery of stills, and if anyone has suggestions, feel free to submit them in the comments section. 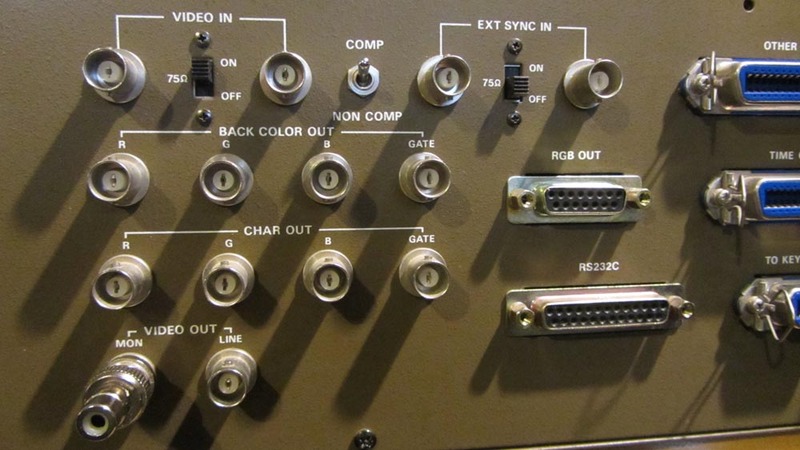 FOR-A VTW-400 Video Typewriter (front panel of Main Unit). FOR-A VTW-400 Video Typewriter – Top view w/o cover. 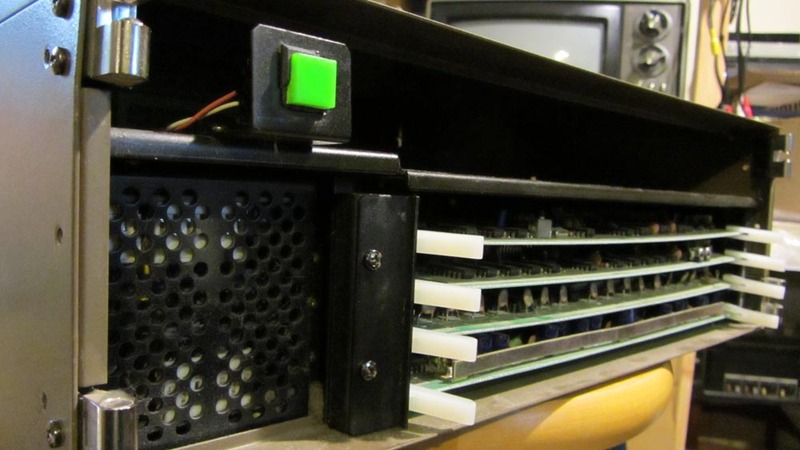 FOR-A VTW-400 Video Typewriter – front panel removed, exposing vertical motherboard + 4 horizontal circuit boards. 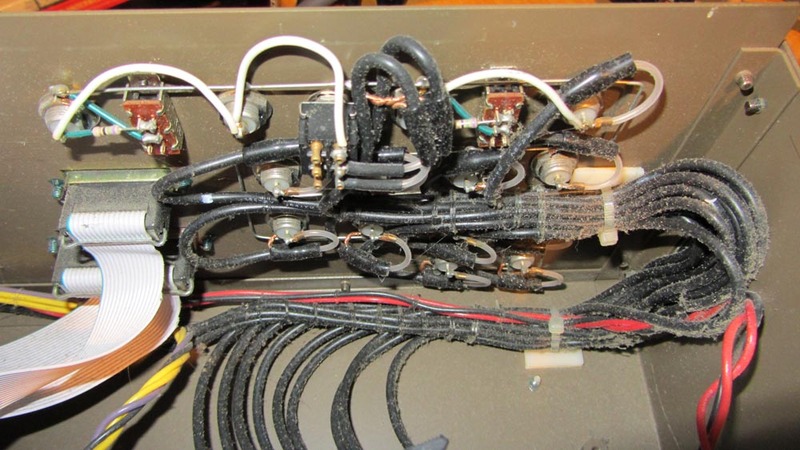 FOR-A VTW-400 Video Typewriter – vertical motherboard with pilot light on (indicating power flow-thru). 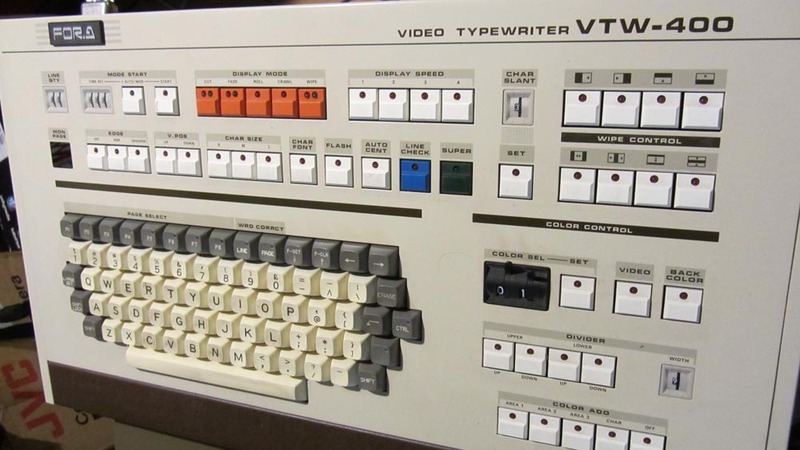 FOR-A VTW-400 Video Typewriter – second-from top horizontal circuit boards, with second red pilot light on, and (presumably) small black reset button which proved ineffective. 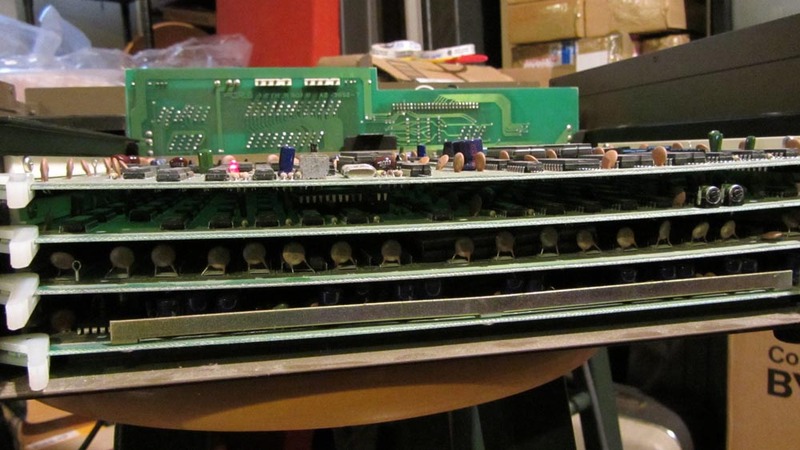 FOR-A VTW-400 Video Typewriter – top view of top circuit board’s sealed battery. 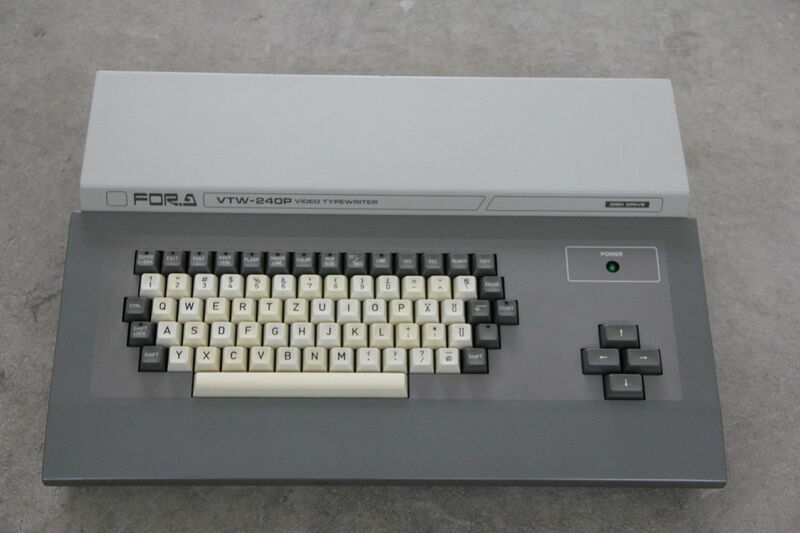 FOR-A VTW-400 Video Typewriter – view of front, power on. 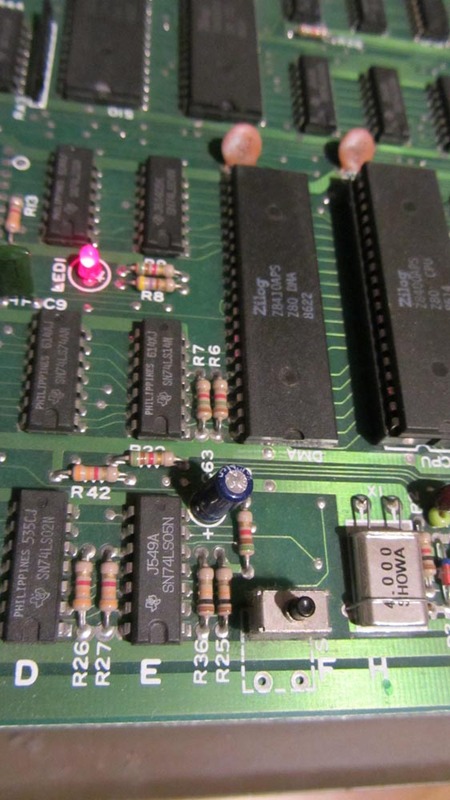 FOR-A VTW-400 Video Typewriter – security latch for circuit boards. 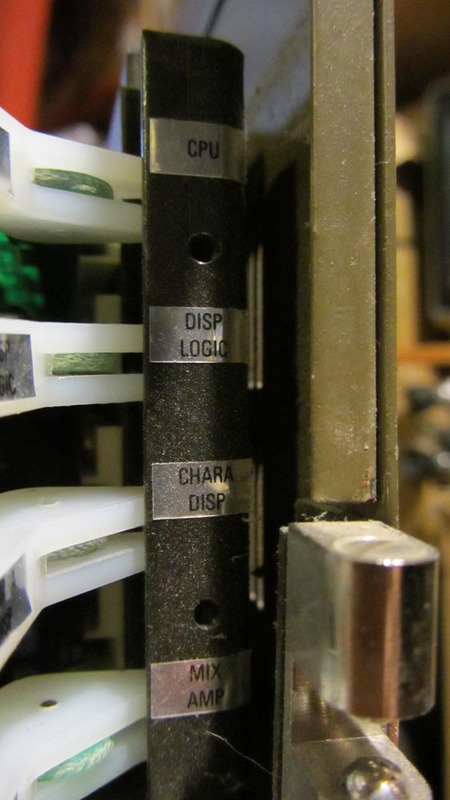 FOR-A VTW-400 Video Typewriter – right side showing labeled slots for the 4 circuit boards. 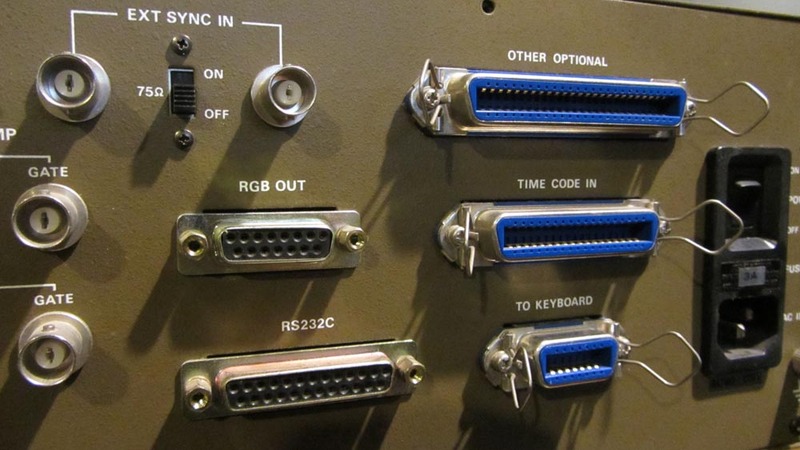 FOR-A VTW-400 Video Typewriter – connections on rear of motherboard. 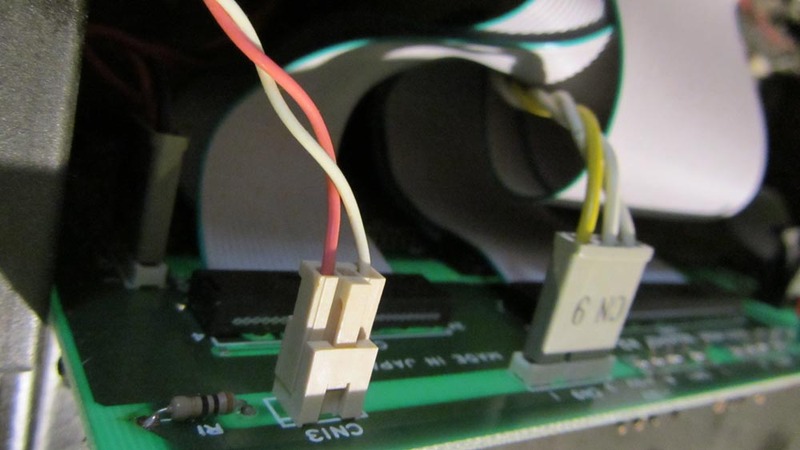 FOR-A VTW-400 Video Typewriter – rear panel video connections (inner view). 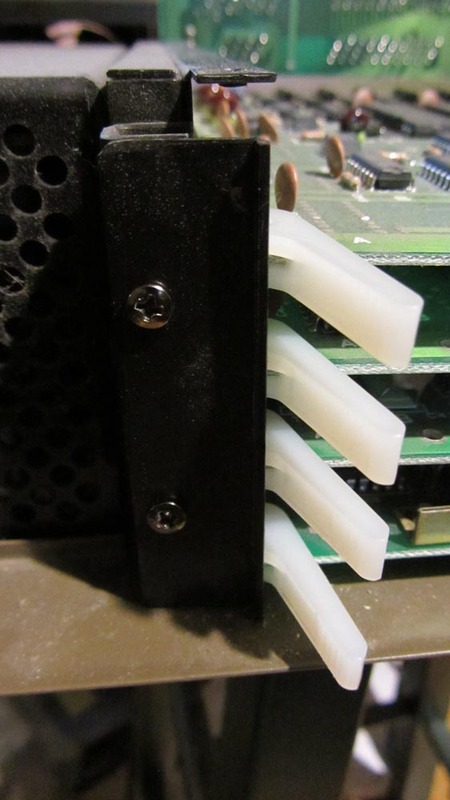 FOR-A VTW-400 Video Typewriter – rear panel video connectors. 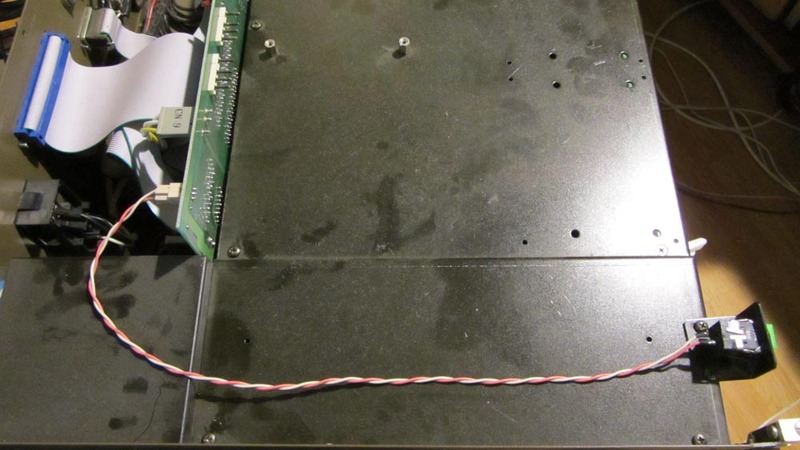 FOR-A VTW-400 Video Typewriter – rear serial connections. 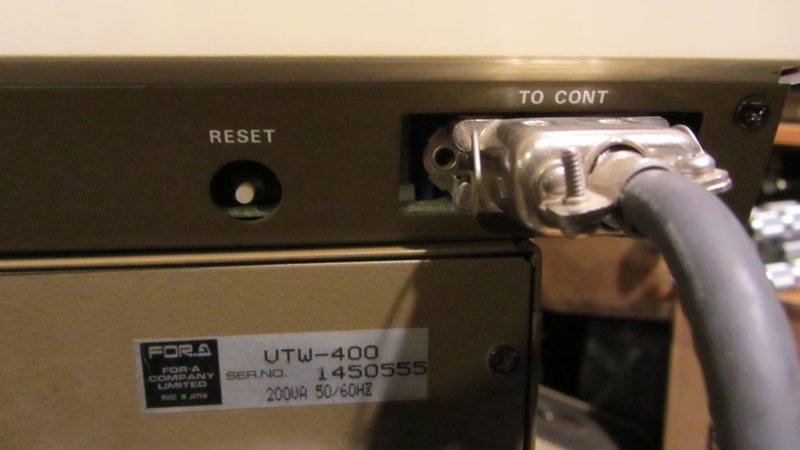 FOR-A VTW-400 Video Typewriter – rear connection to central unit. 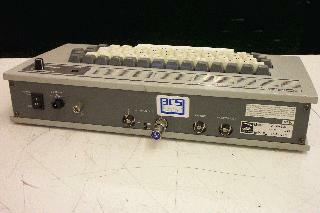 Reset button has no effect on resetting CG unit to display / output any video signals. 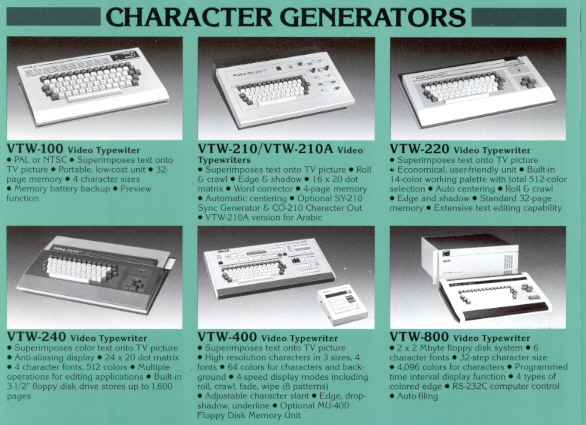 FOR-A VTW-400 Video Typewriter – …but if Shift Lock is pressed, there’s a light. Keyboard is receiving power, but there’s no communication between it and the central unit.